Aldi has signed up to the Australian Federal Government’s voluntary Tax Transparency Code. Aldi has long been mulling over whether to sign up to the code which sees businesses commit to disclosing tax information publicly. Both Coles and Woolworths have already signed onto the code. Aldi Chief Executive Officer, Tom Daunt, said Aldi Australia is committed to operate with the highest levels of integrity and transparency and that Aldi’s decision to sign up to the code further reinforces this. “As Australia’s fastest growing supermarket, we have a strong obligation to our customers, suppliers and the wider community and take our corporate responsibilities seriously,” Daunt said. “Aldi supports greater tax disclosure in Australia as this reflects our commitment to regulatory compliance and increased transparency on our tax strategy and corporate governance,” he said. Aldi will now publish an annual report on its Australian website every year, with the first report set to be published in September 2017. 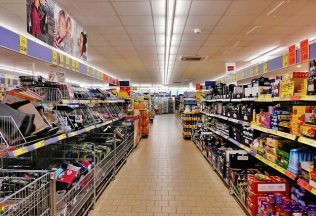 As Aldi is a private company which is not required to publicly disclose its financial profits and details, speculation over how much tax Aldi pays has been a hot topic in the past. In 2015, Wesfarmers then Chief Executive, Richard Goyder, said in a speech that someone should “go and have a good look at how much tax Aldi pays in this country”. Aldi responded by insisting that it meets all of its tax obligations and revealed that at the time, its average corporate tax rate was 31 per cent of its net profit. Today, Aldi maintains that on average it still pays an average of 31 per cent of pre-tax profits to the Australian Taxation Office. In a July 2015 submission to an Australian Federal inquiry into tax avoidance, Aldi provided further details about the amount of tax it has paid the Australian Taxation Office in the past.